IT’S NOT A LIPBALM, IT’S LIPCARE! A perfect product simply for those who work with dermal fillers to offer their customer after treatment. Of course, LipCare can be used even if a filler injection has not been performed due to its ability to preserve moisture, slow down aging process and protect your lips. After a lip injection, wait 24 hours before applying LipCare to your lips. 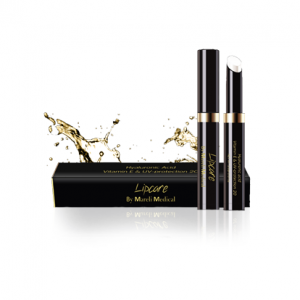 It takes between 10-15 minutes for the lips to absorb the applied LipCare product. After this you can apply your favorite lipstick or lip gloss.